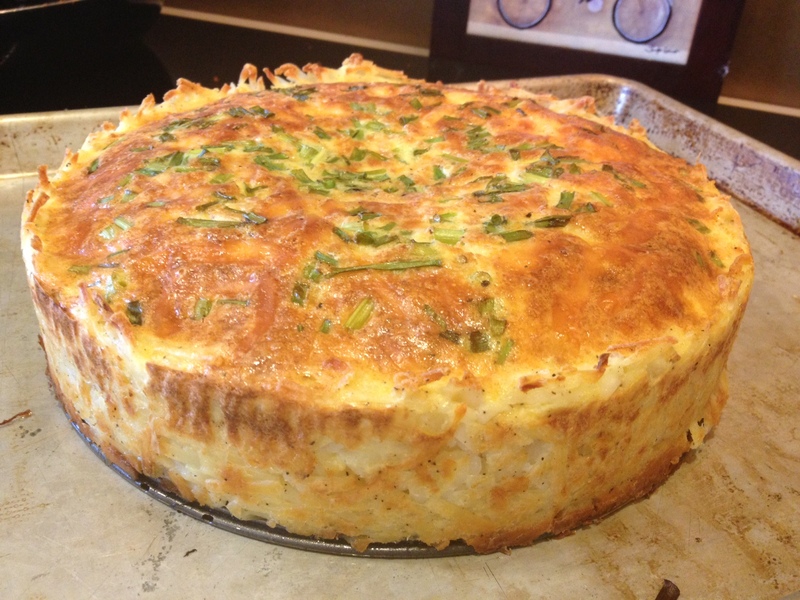 How have I never heard of a Quiche with a hashbrown crust? Have I been living under a rock all of these years? Why isn’t this the standard way to make a quiche?!? All questions I asked myself upon discovering this awesome recipe. Let me tell you something. I tend to be weird about eggs, so quiches don’t come around too often in my kitchen. But I have been waiting for the perfect occasion to make this, and Mother’s Day Brunch was the perfect time. I was nervous about how it was going to turn out, but only received rave reviews. Pancetta cooking, hashbrown crust ready to be popped into oven for a bit. Don’t mind the large chunks of butter…I didn’t soften mine enough…Things still worked out. 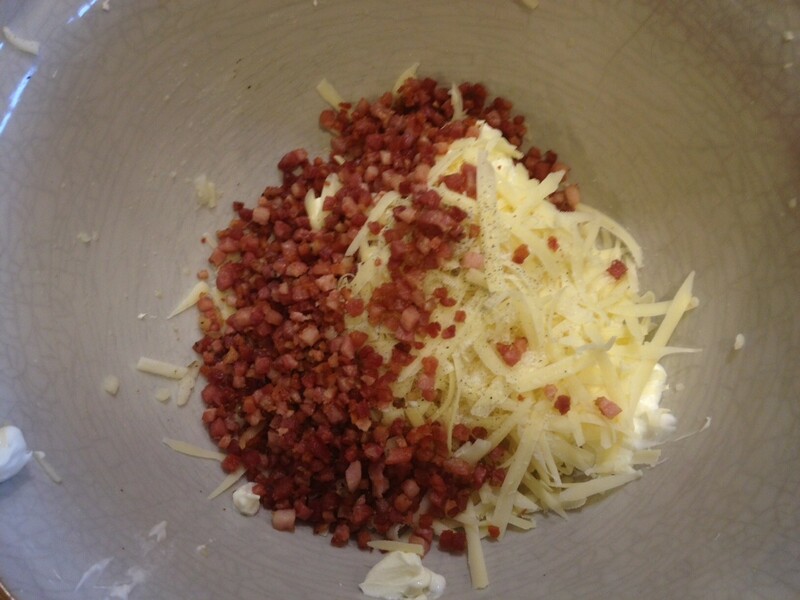 mix the gruyere, cooked pancetta, sour cream, and other goodness together. 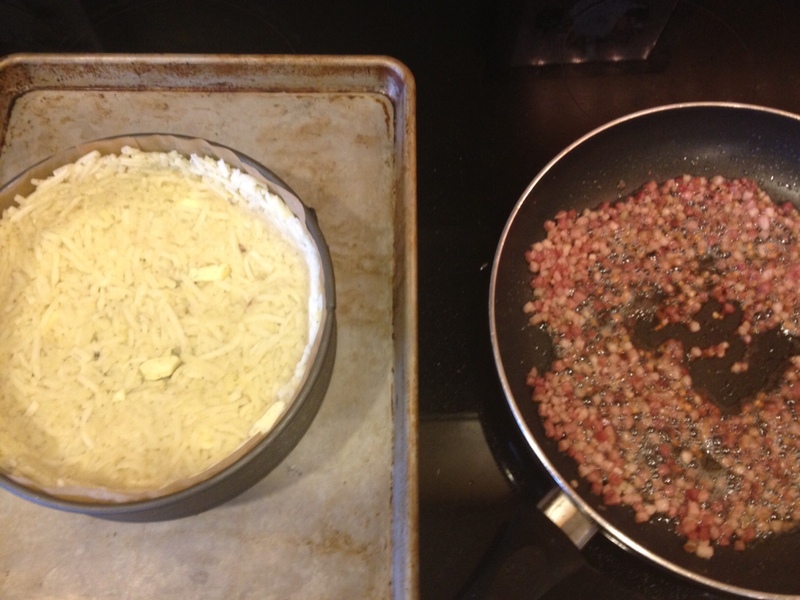 Pour mixture into hashbrown crust, top with more cheese and some chives. Ta-Da! Comes out looking beautiful. This recipe is super easy, and as far as I know you can adapt this any way you’d like. 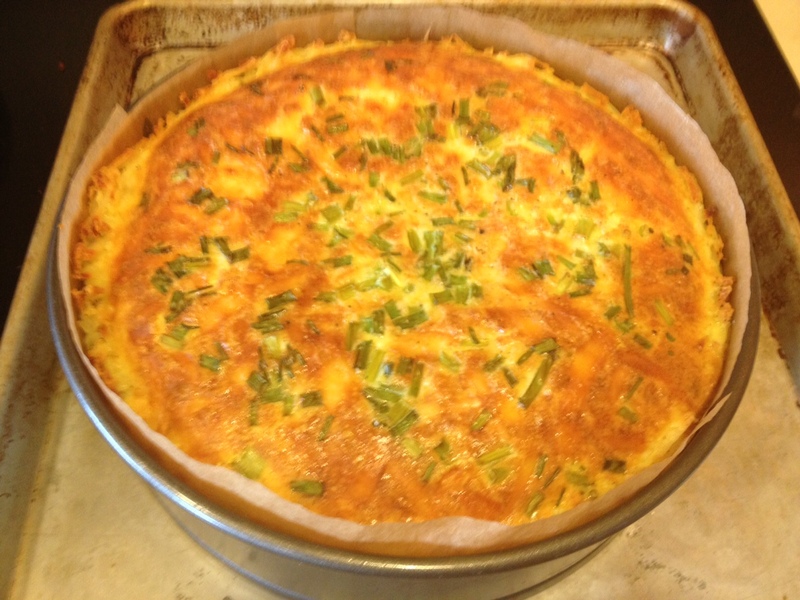 The original Martha Stewart recipe is a very basic goat cheese vegetarian quiche, and I suspect to try something similar to that soon. Keep your eyes peeled for more hashbrown-crust quiche recipes in the future, I don’t think I’ll ever make a traditional quiche after this…Because seriously, it combines the best parts of breakfast…Eggs, potatoes, tasty fillings! Take this recipe and don’t look back. 4 oz diced pancetta (the Trader Joes Pancetta comes pre-diced)! 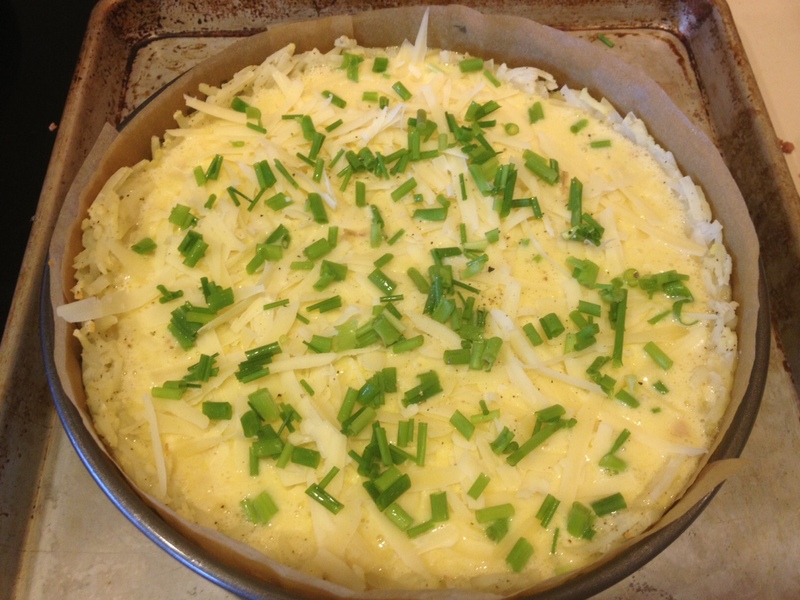 2/3 cup shredded Gruyere cheese (feel free to use more to spread over the top)! Preheat oven to 375 degrees. Brush a 9-by-2 1/2-inch springform pan with butter. (I melted the butter then brushed the pan). Line the sides of the pan with strips of waxed paper (the same height as pan); brush paper with butter. Squeeze excess moisture from hash browns. Mix in a bowl with butter (super softened if you do not want large butter chunks), 1 egg, 1 teaspoon coarse salt, and 1/4 teaspoon pepper. Pat into bottom and up sides of prepared pan, using a moistened dry measuring cup. Place on a rimmed baking sheet; bake until set, 15 to 20 minutes. In a large bowl, whisk sour cream, crème fraîche, gruyere, pancetta, 1 1/2 teaspoons coarse salt, and 1/4 teaspoon pepper until well combined; whisk in 11 remaining eggs. 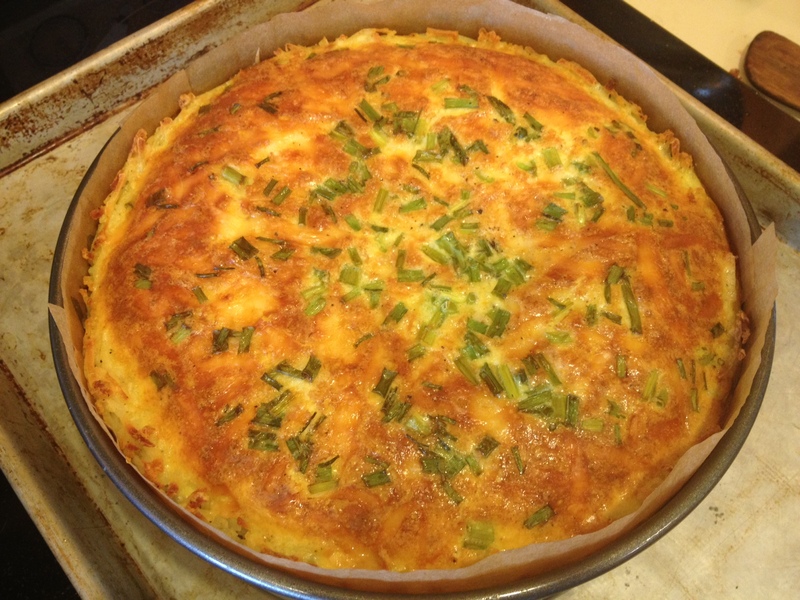 Pour into crust, and sprinkle with scallions and extra gruyere, if desired. Bake until set, 45 to 50 minutes. 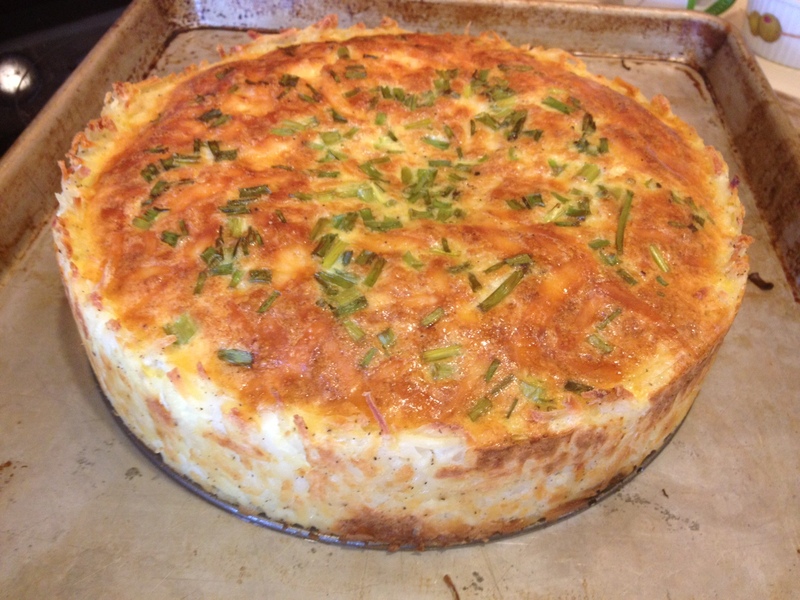 To make sure quiche is done, gently tap or shake the pan; if the filling jiggles slightly in the middle but not on the sides, the quiche is set. Unmold quiche, and peel off waxed paper before serving. Can we have this bachelorette weekend?